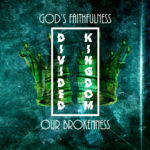 Today as we continue to study the Divided Kingdom, we will look at one of the first side stories that happens in the Book of Kings. Each side story will focus on a prophet. As we progress in is important to understand what a prophet is and does in the Old Testament. Prophets are those how speak on God’s behalf. This is the best and simplest definition of a prophet. In today’s story we will actually see 2 prophets. One that is a Godly prophet and one that is is a false prophet. It is important to realize that the book of Kings does not make the distinction of who is a godly prophet and who is a false prophet. That is our job, we are to examine and learn how to distinguish between these 2 types. But it is not up to us to decide based on our own arbitrary ideas. It is based upon some very specific instructions from God’s word. This is important for us to hear and process the reason for this is the fact that we have a lot of false prophets running around today claiming to speak on God’s behalf, and if we cannot distinguish one form the other we will fall into the trap the enemy sets for us. Today’s chapter will begin to help us learn these simple lessons. Wow! that is a strange story. I don’t know about you but as I look at this story I have a lot of questions and a lot of emotions that come up. To be honest there are times that I see the things that happen in the Old Testament narrative that I look at and I think that does not seem fair. We will see a couple of those things in the next few chapters but it is important for us to understand that fairness is based on a subjective standard that we establish. You see I think that is really the major problem we have today in the church and even larger in the world. We subjectively look at the world and the Word of God instead of looking at it objectively as truth. So before we go any further today can we confess before God that many times our issue is we want to look at what God says subjectively? Let’s just pray right now that God would help us to look at His word as truth not what we want it to mean. Remember last week we ended with this verse. God sends a word to Jerry who is walking away from the truth of God and is instead pursuing His own accomplishments. He is leading the nation into idolatry and setting a new standard of lowness in the kingdom. Jeroboam was actually standing at the altar he created on the eighth month about to fulfill his role as high priest. Both times it is a title in which Paul gives to Timothy. It is a title that reveals a person whose very identity is bound up in the will of God. He is not a man of this world, Nor is he a man who is looking out for his own personal interests. Instead this man has God’s interests at heart, And his only concern is that God’s will be accomplished. Not only does he prophecy about the future but he tells them the sign that God will validate his message. The altar will crack apart and the ashes will be poured out. Do you see the picture? Their hearts were what God wanted to break apart but their hearts were harder than the stones of the altar. So God breaks the altar instead. Oh that we would never get to that place in our own lives. That we are so hardened to God and His word that God has to resort to breaking everything else around us because we are to hardened to be broken by His word. Instead of being broken before God himself he asks the prophet to intercede for him. Here is something I want us to hear. You don’t need me or anyone else to go to God on your behalf. Jesus has already done that. You are never to far gone that God will not hear a prayer of repentance. Heb 4:14-16 tells us Therefore, since we have a great high priest who has ascended into heaven, Jesus the Son of God, let us hold firmly to the faith we profess.15 For we do not have a high priest who is unable to empathize with our weaknesses, but we have one who has been tempted in every way, just as we are—yet he did not sin. 16 Let us then approach God’s throne of grace with confidence, so that we may receive mercy and find grace to help us in our time of need. We have access to God through Jesus if He is or Lord. But notice what the King says Intercede with the Lord your God. You see His heart was so hard that he could not even acknowledge God as his own. But God shows the king grace and restores his hand. Why? To remind us that he is still giving us an opportunity to turn back to Him. First we see that the king tries to buy the favor of God. Wow how arrogant cam you be? But before we judge to harshly, how do we do the same thing? Well God, if I serve you, then you can bless me. If I give to you then you can take care of me. This is one of the biggest false prophets of our age today. “If we do all the right things God will bless us”. That is called the prosperity gospel and it is all based on the idea that we can command the blessings of God by doing the right things. It is a lie. But this man of God sees through the lie. God has given specific instructions to this man. No bread, no water, go back a different way. Why? Because Jeroboam had set up a kingdom where it was hard to hear from God. So God did not want His man spending too much time in that environment. Environment matters. Who you hang out with can effect how well you hear from God. I am not saying we become spiritual hermits, that is what the Pharisees did and Jesus acted differently from them. But do not be fooled that you can hang out all the time with ungodly people and it will not affect your spirit. Do not be fooled that you can take in the nutriment of the world and it not change your desire for His word. Don’t think you can walk in the same paths that got you to where you are at, and it lead you to someplace different. Next we see another “prophet” in the story. We are not told if this is a Godly prophet or a false prophet but we will soon learn. Notice where is he living? Bethel. That should give us an indication of where he is at spiritually. Wow, that’s pretty judgmental of you pastor. Think about it, he is living at the center of worship of this false religion, they are about to have this huge ceremony and his kids are there to be part of it. If he was walking with God don’t you think maybe God would have called Him to speak out? But he had compromised his life. Hear this, God will not use you in a mighty way if you are living a compromised life! He might use you in some small ways to help you realize that He has a plan for you and desires for you to be useful to Him, but he will not use you the way he desires if you are living in a way that you will bring shame to His name. I see this all the time, people want to reach their friends and family with the Good News but their own lives are so compromised that they are ineffective in reaching them. God uses broken, repentant people to do His work not compromised hardened people. Notice His sons told him what the man of God said to the King. But he goes out to chase the man of God down. When He catches up to him, He finds the man of God sitting under an oak tree. Why? Probably because he was resting. He had dropped his guard in enemy territory. I’m not going to say much more there but pay attention. This old prophet showed up And played the classic role of a false prophet. He invented his own story, And even claimed that it came from God by way of an angel. And that is not surprising, we can all expect to have false prophets tell us things that they claim to be truth. Heresy and deception are promised through the Bible. We overcome such heresy by relying not on what they say, but on what we know that God has said. God had told his people this very thing through Moses. How does this apply to us today? We are out with our friends, we know what God’s word says, but we see other “christians” doing and saying things that we know is not right. Do we go along? It is so easy to compromise when we let our guard down. 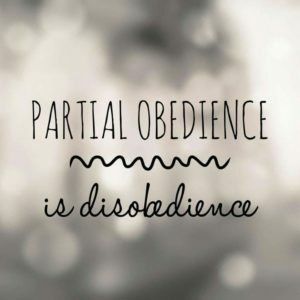 This is where the title of the sermon comes from today “The danger of partial obedience”. You see up until now the man of God continued to say the right thing. He was following God. But then we see he is only partially obedient. He turns around and goes back to Bethel and has a meal and drink in that place. When, we know what is right but we decide that we know better than God and take matters into our own hands, that is partial obedience. Remember when we started we were talking about subjective reasoning. Here it is. I will rap this up quickly. God’s judgement is quick here. That doesn’t seem fair does it. Here is why I think God did this. The man of God was a public figure. He called out the king in front of everyone. So now he is held to a higher standard. The higher the profile the more disastrous the cost of sin is. It not only reflects on us but it reflects on God. Thank you for praying for God’s protection for me, and my family. God preserved the man of God’s body to show that it was God’s hand not coincidence. God’s word was true and came to pass just as He said it would. God spoke through both men and and what they said happened. God can speak through whoever he desires to accomplish his word. Sadly this story ends with this. Nothing could change Jeroboam’s heart.